I’ll let you in on the secret I tell them: Either none of them or all of them. What does this mean? Any app can be efficient or successful, depending on what you put out there and how proactive you are in the process. If you choose six mediocre pictures of yourself—the number most apps allow—and no writeup and expect to have a date every night, you’ll be sorely disappointed… just like if you put together a mediocre resume and expect to be given an interview for a CEO position. Simply coming to the table is not enough. 1. Make the first picture a clear shot of your face. People just want to see what you look like. Period. Don’t overthink it. Show what you look like right off the bat. 2. Include a full-body shot. On the whole, we are visual people… and, if I’m being honest, somewhat superficial. I’m not saying anything new. Knowing that, provide people with a sense of what you look like so they don’t have to invent it (and it’s never a favorable invention) in their head. 3. Be by yourself in the shot. I can already hear the complaints about this piece of advice! Trust me here. This prevents inevitable comparison of you to friends or others. It’s also important for the viewer to know which person you are in the photos. Don’t worry that someone wonders whether you have friends. First, no one is thinking about it, and second, the baseline is that you have friends! 5. Less is more. Four great photos will always win over six or more mediocre photos. People will, unfortunately, look for the one they don’t like and decide not to swipe right because of it. 1. My beverage of choice is Scotch. 2. I was born outside the US. 3. I have a dog named Scruffy. Note: This one describes yours truly, so feel free to write in the comments which you think is the lie. Things I like: Pizza (only with red sauce, white is a travesty! ), GOT, my job in finance, and my Garfield slippers that I’ve had for way too many years. Entrepreneur, jokester, Crossfitter, vintage Coke bottle collector… Seinfeld quotes and a nice smile make me swoon. I’m like a cupcake with cayenne pepper—sweet with a kick! 1. Sunday priorities: exercise, sleep, or mimosas? 2. *Pizza emoji* or *sushi emoji*? 3. If you had nothing to do today, would you rather go running or drink a bottle of wine… or both? If you match with someone on a Sunday, try to have the date set up by the next Sunday (basically, keep it within a week). Momentum is key, as people have shorter and shorter attention spans. As a side note, someone will likely ask for your number, saying, “It’s easier to talk outside the app.” No, it’s not! It’s the same! Keep it on the app, or else you’ll fall into a texting abyss. I call texting “the death of the first date” for a good reason. So… are the apps an effective way to meet people? Sure! But, you have to put in the work, follow this advice, and show up for your dates ready and excited to meet someone new. If you want to get more information about someone before the date, though, or make sure people are somewhat invested in the process (at least financially), then the “traditional” sites, like Match and eHarmony, may still be better options for you. Want to have your dating app profile (or any profile) professionally written and your best photos chosen for you? Check out our “App-titude” package at the bottom of our Services page. ← Are We Still On? Dating in the Time of Flakes. I like what you proposed. Succinct & something creative. Will attempt to incorporate your suggestions. Will follow & let you know my success. So glad to hear that. Keep me posted! Erika is wise and amusing – once again! I’m trying to get past all the drama of the dating sites and treat them as what they are: imperfect tools for getting face-to-face meetings with women. it doesn’t help to complain about them. You nailed it, Bill. 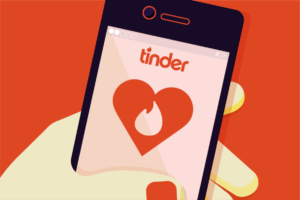 Online dating sites and apps are just tools to get to the in-person meeting. Then, people are just people. Thanks for reading.